Fried rice no rice! And no, you won't miss the rice. 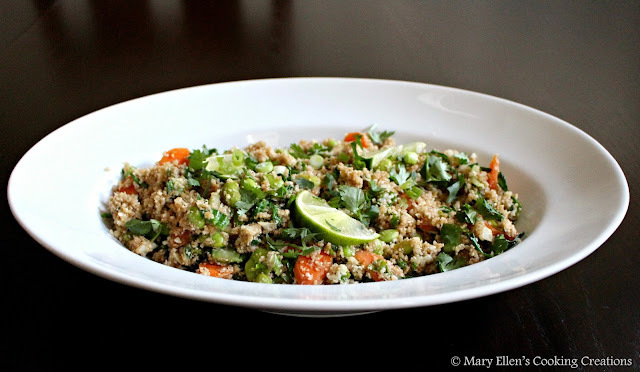 Ricing cauliflower for fried rice is something that has been on my list to try for a while now, but I just haven't put it on the menu or taken the time to come up with a recipe. Last week I was doing some work around the house with The Chew on in the background when I heard Clinton Kelly start to talk about making fried rice with riced cauliflower. 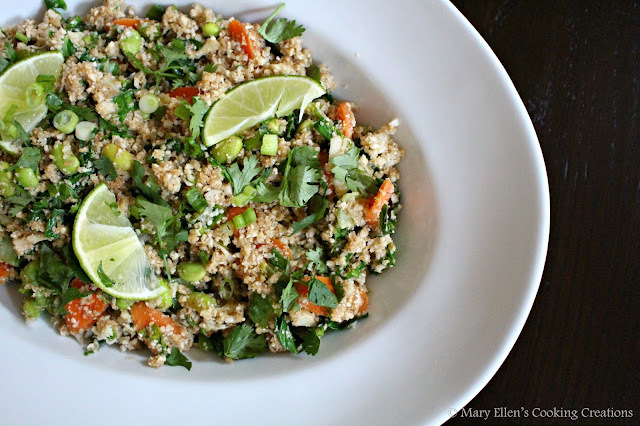 I had to stop to see if it would be a recipe I'd want to try and it was - simple flavors and not overwhelmed with other veggies, just carrots and baby bok choy. A half of a head of cauliflower made so much fried rice - probably 5 servings. 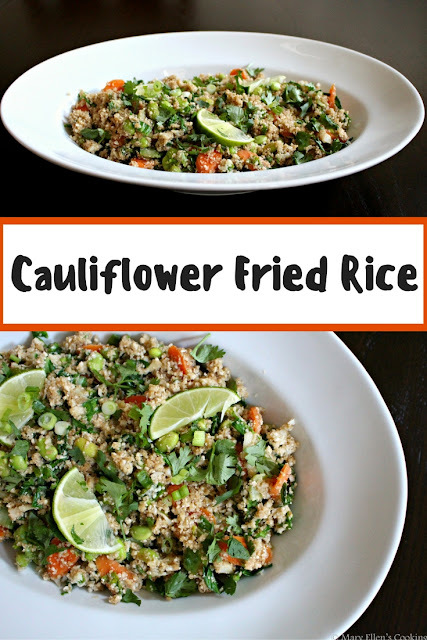 The cauliflower was a nice substitute for rice - not the same by any means, but it really held up and took on the flavors of everything I added. What a great, healthy alternative to traditional fried rice! 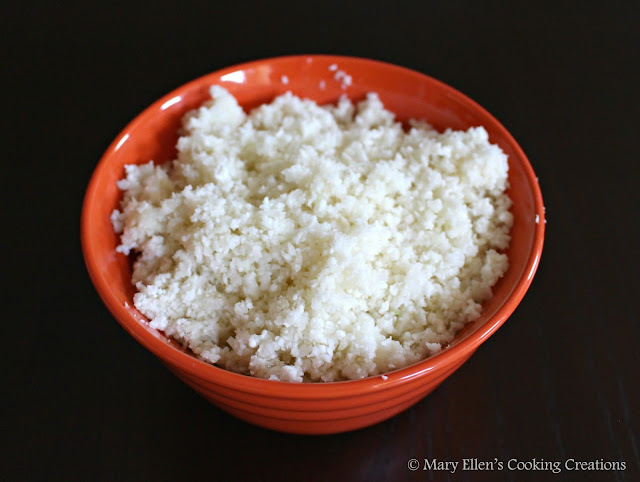 Place the cauliflower florets in a food processor and pulse until finely chopped; set aside. Heat the sesame in a large skillet over high heat. Add 3/4 of the green onions and all of the garlic and ginger; stir until fragrant. Add the carrots and bok choy; cook for 2 minutes. Add the cauliflower, edamame and soy sauce. Stir until everything is combined. Serve topped with the cilantro, lime wedges, chili garlic sauce and the rest of the green onions.